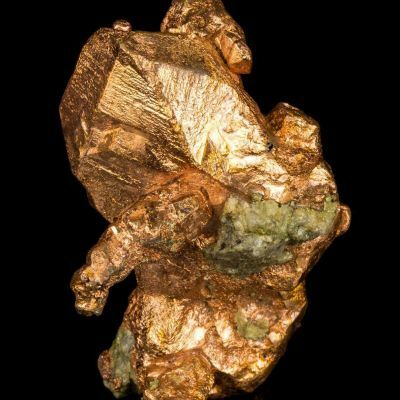 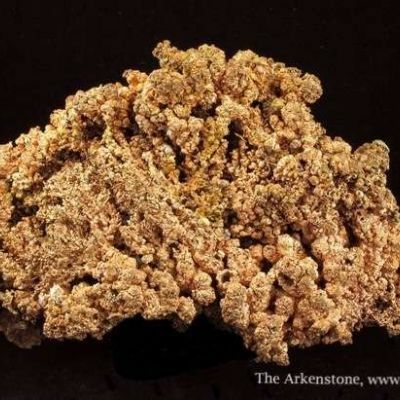 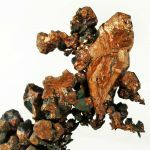 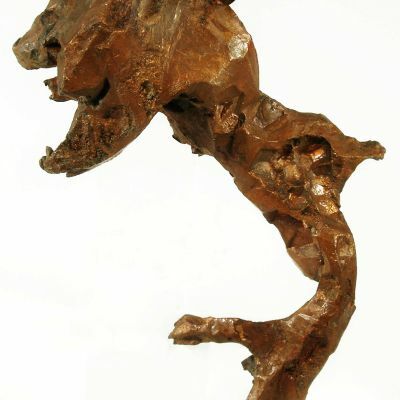 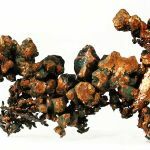 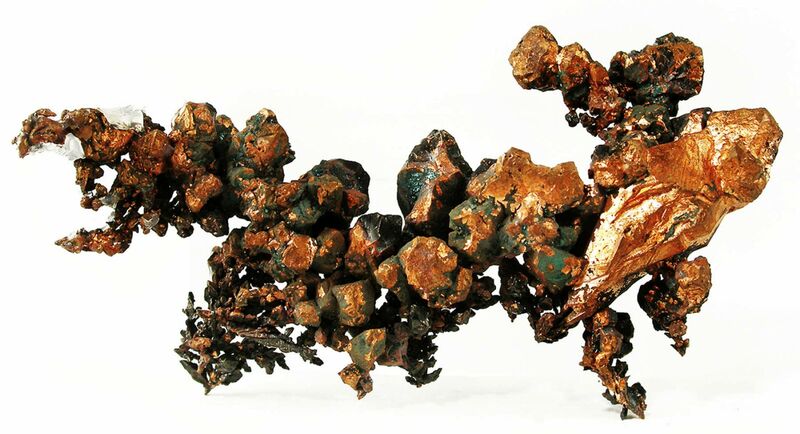 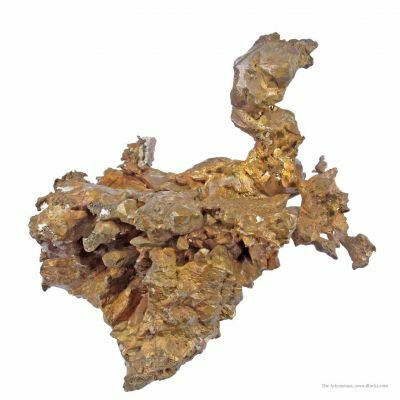 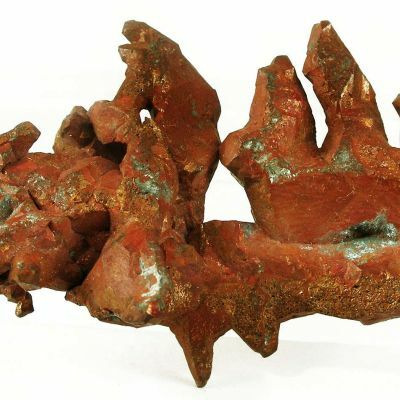 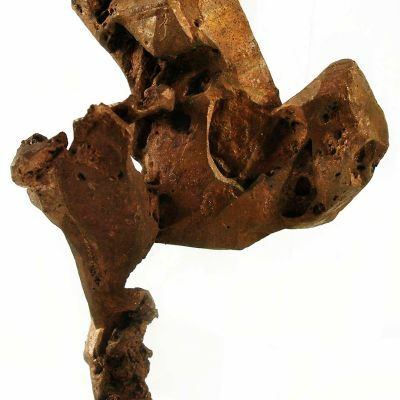 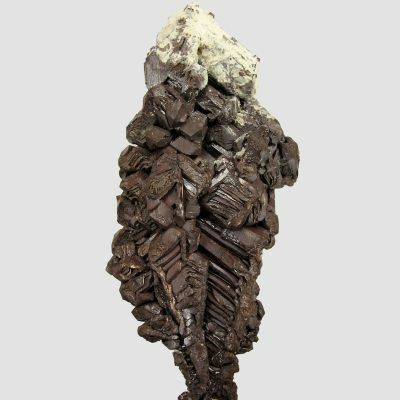 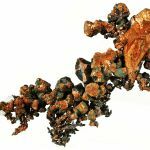 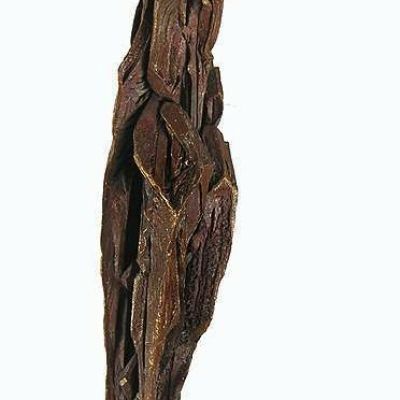 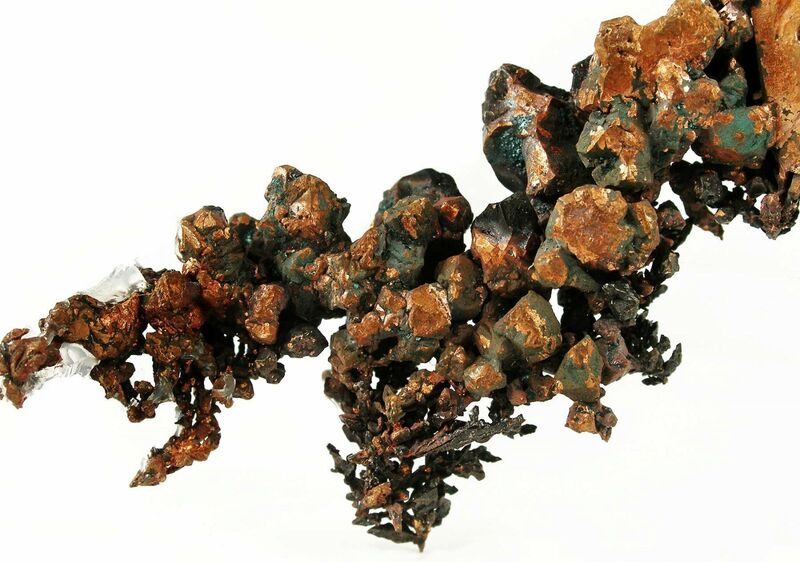 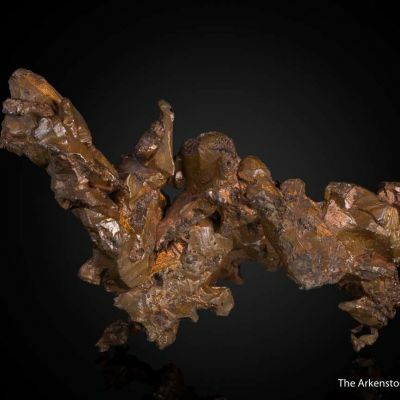 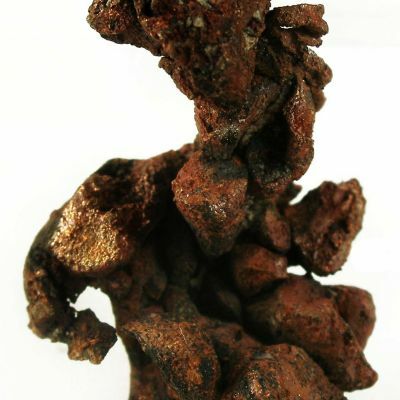 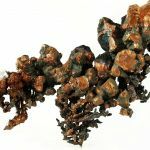 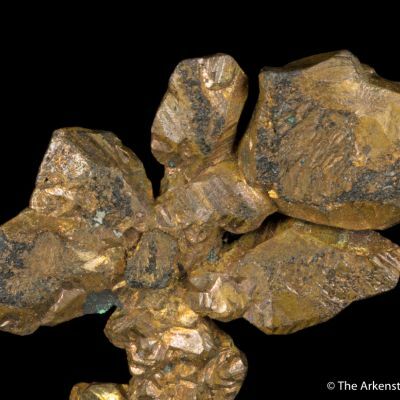 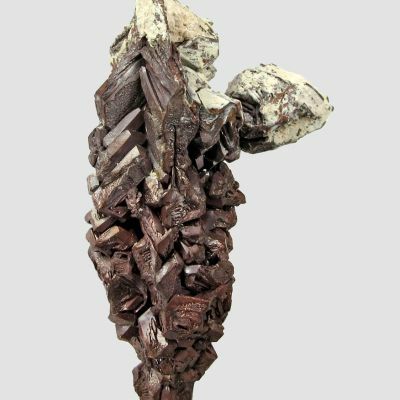 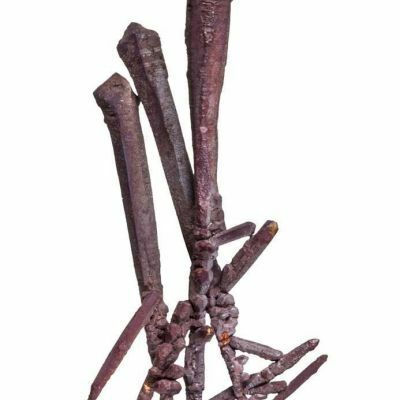 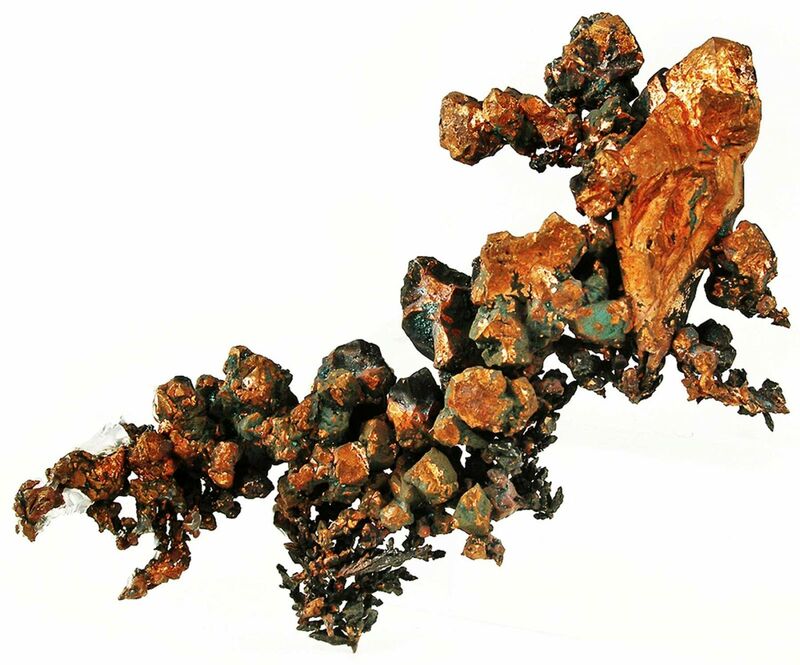 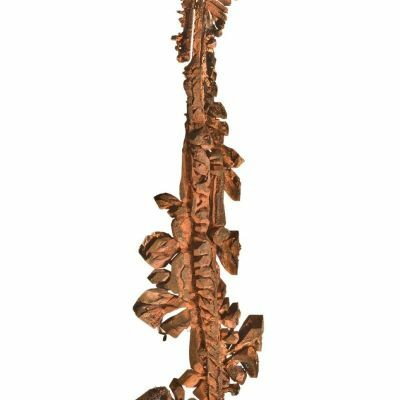 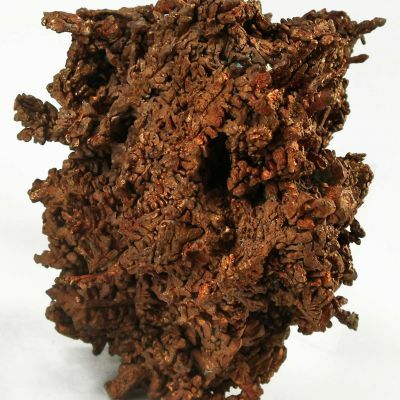 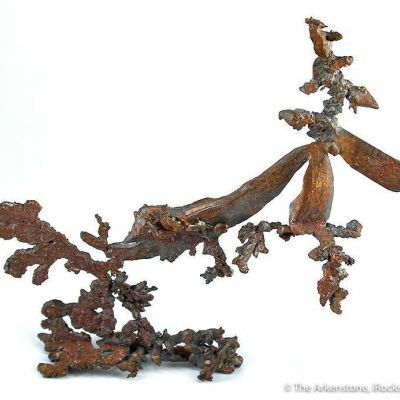 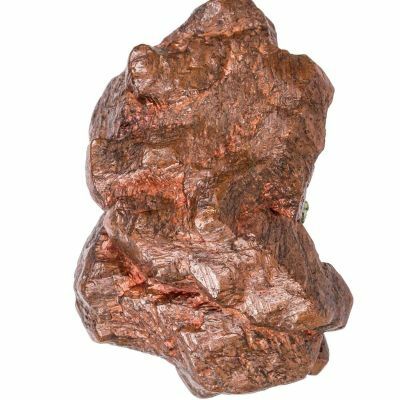 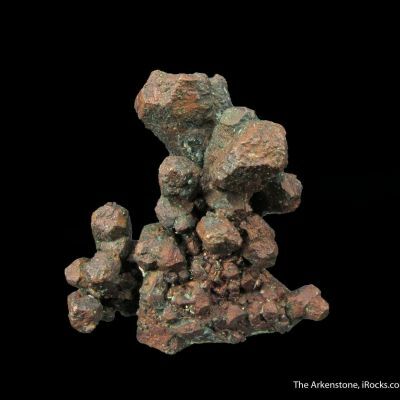 A stack of well formed copper crystals culminates in an exquisite, doubly terminated, very lustrous 3.3 cm high crystal located at the top of the specimen. 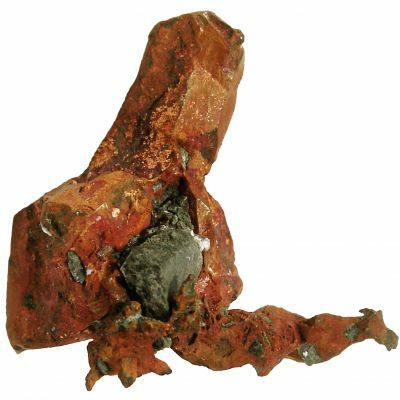 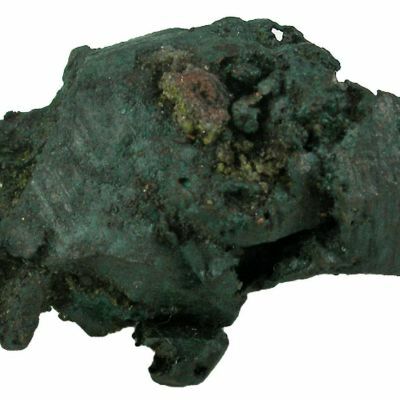 The rich copper color of the large crystal contrasts nicely with the bulk of the crystals which are partly coated. There are even a couple of spinel twins of copper, to 1 cm in length.